MEKONS GET THEIR JUST DESERTS! Leeds punk legends MEKONS are back with a new album and a UK tour. And they’re celebrating with a brand new video. 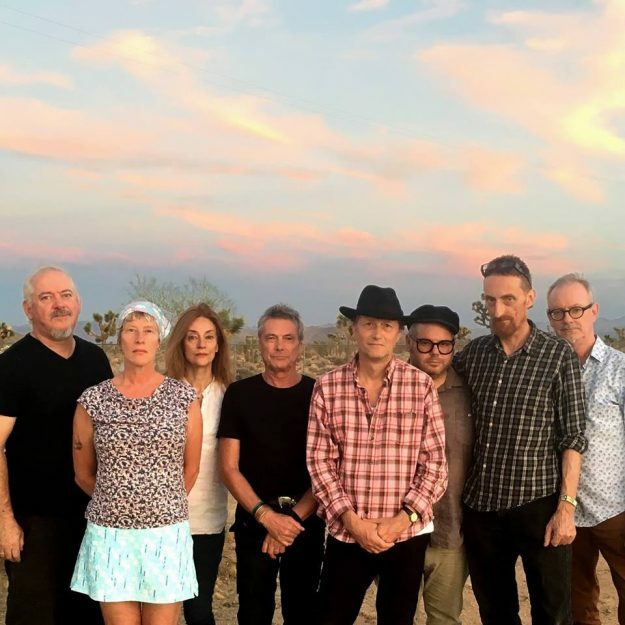 ‘Lawrence Of California’ is taken from the album Deserted, which follows on from last year’s It Is Twice Blessed, for which the band reconvened their 1977 line-up under the guise of MEKONS 77. Deserted was recorded, oddly enough, in the desert around to the town of Joshua Tree, California, where they also shot the accompanying video. The album is set for release on Bloodshot in the US and Glitterbeat in Europe on 29 March and is available to pre-order here. ‹ THERE’S A STORM COMIN’!